The top cop had triggered a row by initiating a probe against high-profile persons, including ministers, politicians and bureaucrats during his tenure as vigilance chief. DGP Jacob Thomas was recently suspended for criticising the state government. Thiruvananthapuram: DGP Jacob Thomas, the senior-most IPS officer in Kerala who was recently suspended for criticising the state government, today said the action was in "retaliation" of his anti-corruption stand and a "warning" to all public servants who stood against corruption. Besides the suspension, Thomas was also served with two memos this month by the CPI(M)-led LDF government, citing service rule violations in two books penned by him. One among them is his bare-all autobiography 'Sravukalkkoppam Neenthumpol' (Swimming Along With Sharks). He said he would continue to raise his voice against corruption but rejected rumours that he would enter politics. 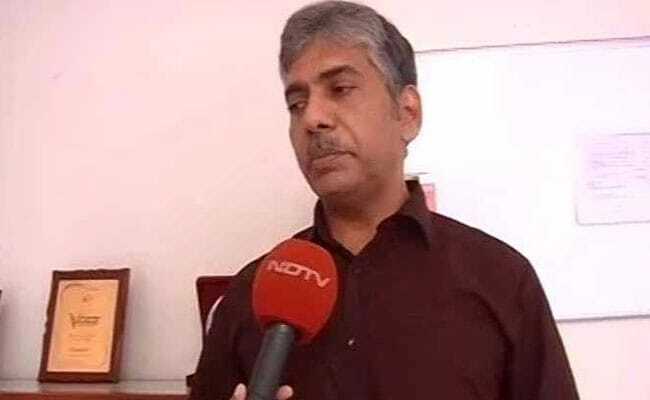 "My suspension is a warning to all potential public servants who act against corruption.The message to them (from the government) is very clear...you should tide with corruption," Jacob Thomas told news agency PTI. "Those who are in power can retaliate against officers in various ways. Suspension is one of such means. But I will continue to blow the whistle on corruption," he said. Chief Minister Pinarayi Vijayan had last week issued directions for suspension of the officer as the head of the Institute of Management (IMG) in Government under relevant sections of the All India Service Rules as some of his recent remarks had shown the state government in poor light. At a seminar on International Anti-Corruption Day on December 9, Thomas lashed out at the LDF government, alleging that there was total breakdown of rule of law in the state. He also accused the government of not "properly handling" the situation due to Cyclone Ockhi. Alleging that all "corrupt forces" are united in the state and are in positions of power, the official had also claimed there was a conscious attempt to silence those who stood against corruption. In the suspension order, the government pointed out that the statements by Thomas were "certainly inflammatory in nature" and "unwarranted and unbecoming of an officer of his stature". However, Mr Thomas said he completely stood by what he said and has no regret over that. He said he had been organising programmes to mark the International Anti-Corruption Day for the last four years to raise public awareness on corruption and urge people to fight it. "This year also I took part in a seminar as part of the day and cautioned people about some possible ways of corruption. My job is to create awareness about corruption. What is wrong in it?" he asked. During the speech, Mr Thomas had criticised the way in which the Rs 1,400 crore tsunami fund was used for rehabilitation in the state. It had triggered widespread debate as the statement came in the wake of the LDF government seeking central funds to tide over the Ockhi cyclone which hit the shores on November 29-30.